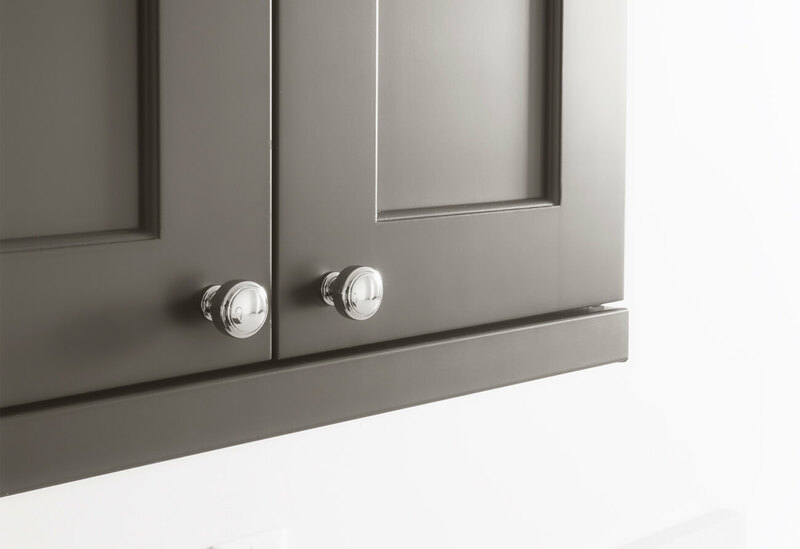 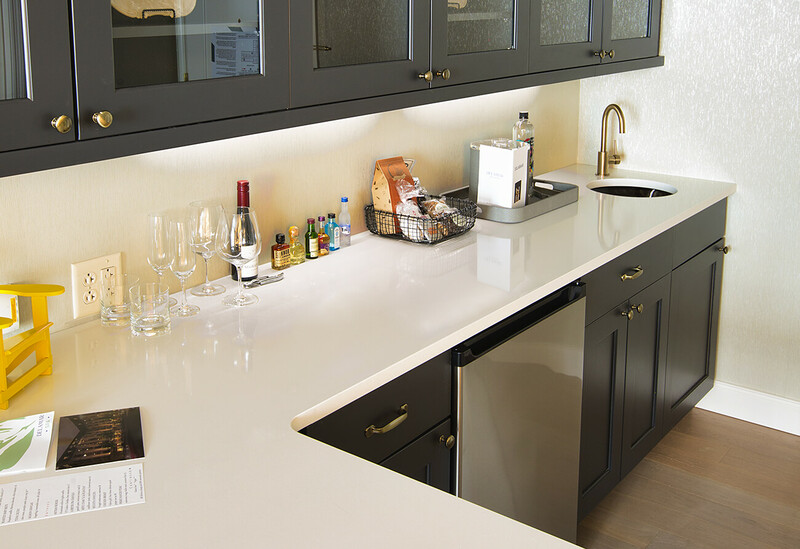 For the Delamar Hotel in West Hartford, these handsomely designed kitchens for the residences and suites combine traditional and shaker styles with Siteline custom cabinetry. 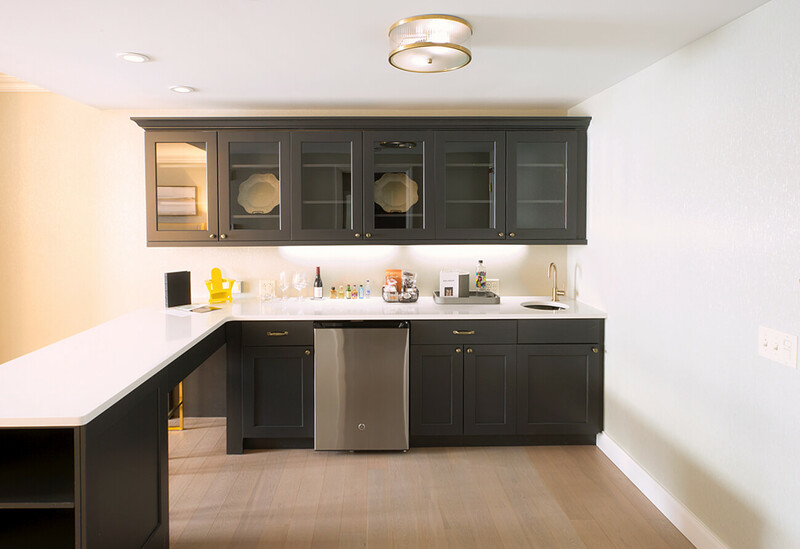 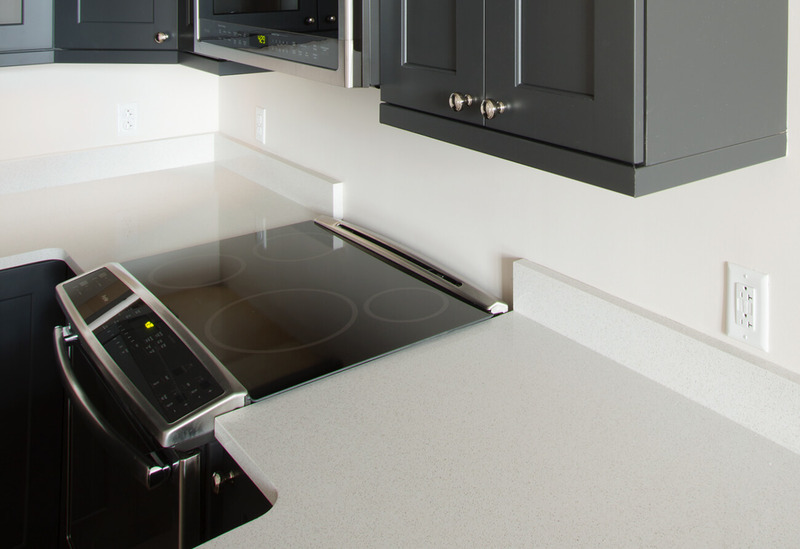 Maple cabinets are beautifully finished in elegant dark Cadet paint with Amerock Corp hardware, contrasting with light Fresco Hanstone Quartz countertops. 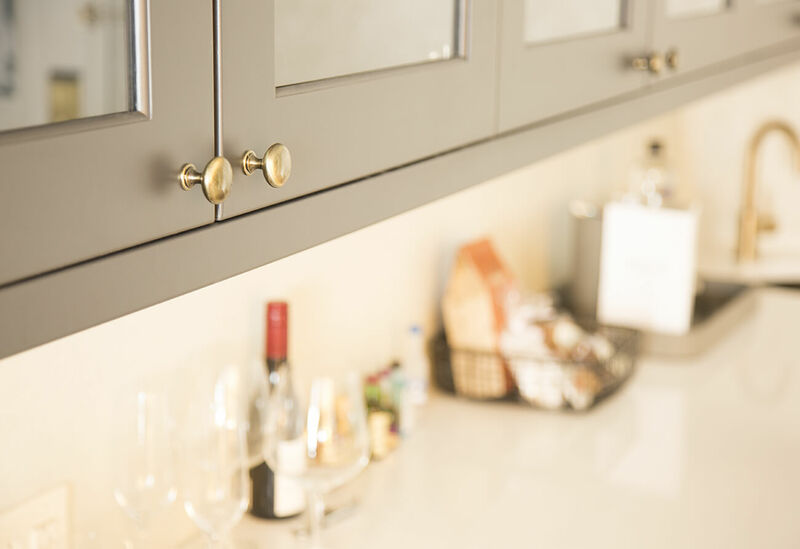 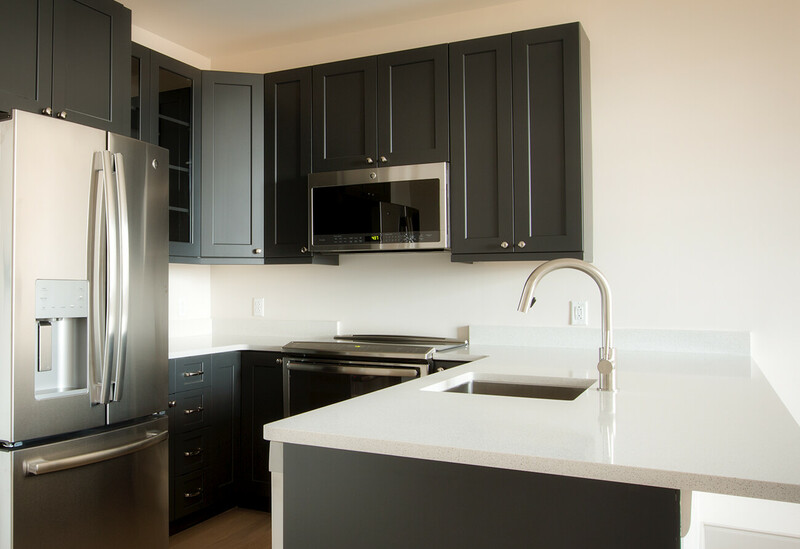 The challenge of providing a fully functional kitchen in the small space of these Penthouse apartments is easily met with the skilled customization and design of these cabinets. 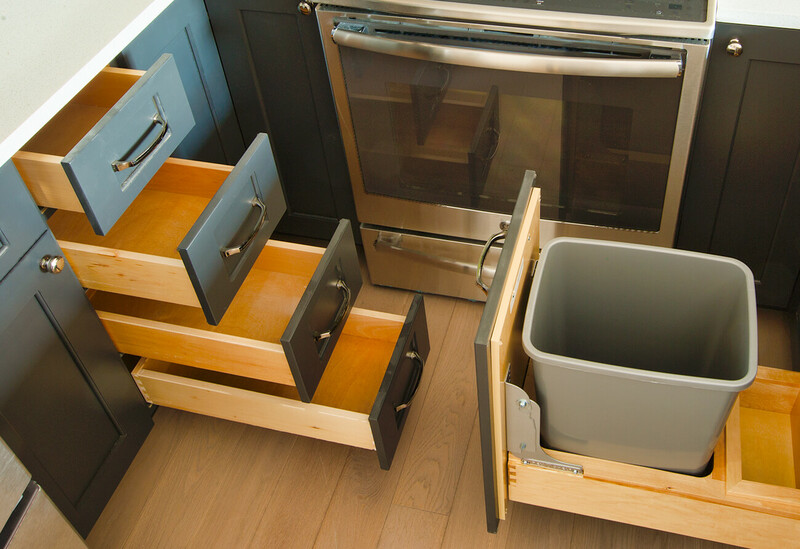 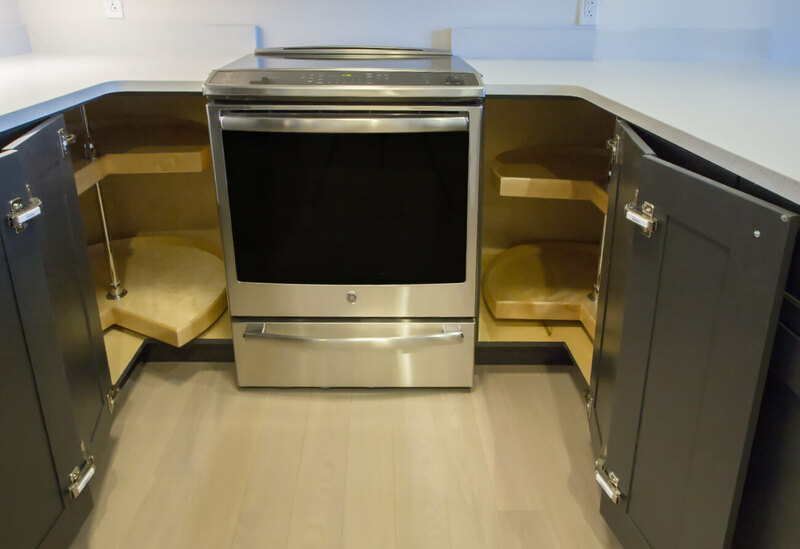 Viking Kitchens paid particular attention to maximizing space with features that include deep stacking drawers, rotating under cabinet corners, and pullout garbage access.